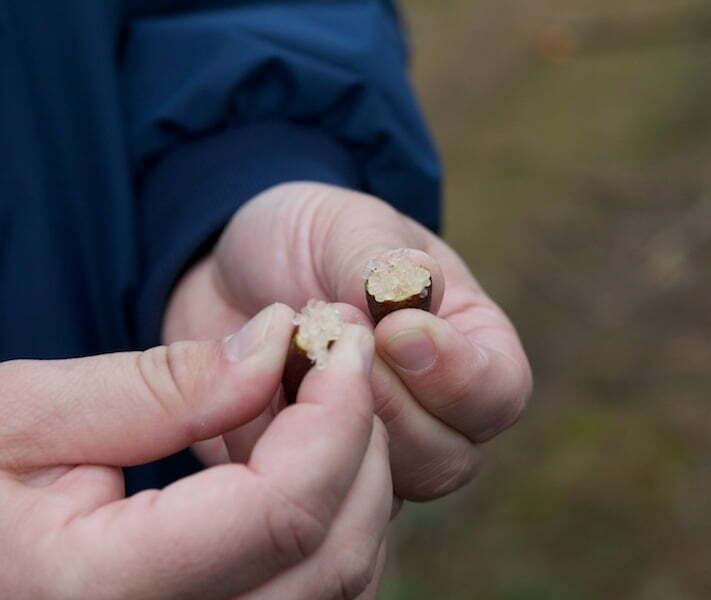 ‘Bushfood’ refers to native Australian flora and fauna, traditionally used in Aboriginal food and medicine. Long before early settlers arrived, bringing with them a slew of new plants and animals, Aboriginal Australians would hunt, forage and farm a variety of species that had already existed here for hundreds, if not thousands, of years. And yet, 200+ years later, the majority of plants in our diet originally came from overseas. At least, that’s according to Tucker Bush, the brand behind the new edible native plants popping up in nurseries around the country. Their goal, like that of their peers in the bushfood movement, is to make native edibles not just a novelty, but part of the modern Australian norm. 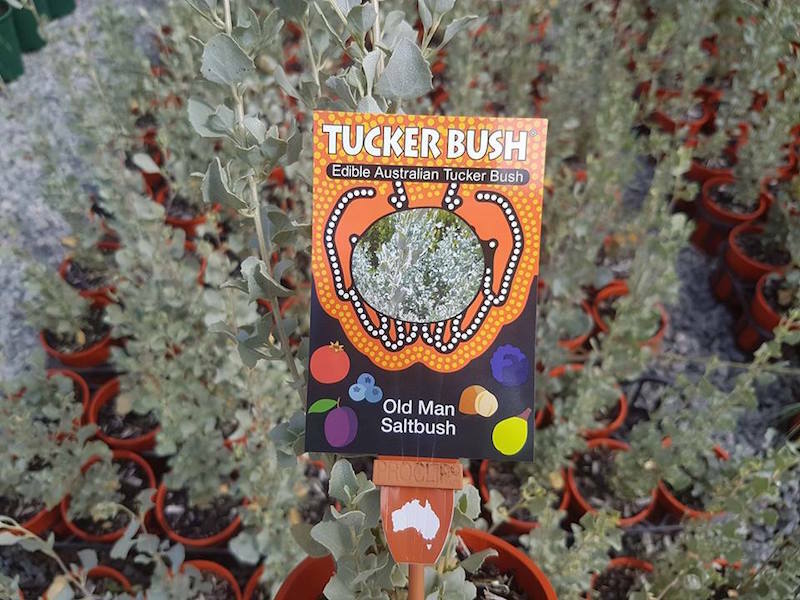 Old Man Saltbush (Atriplex nummularia), a salty bush tucker shrub, on a retail display. Source: Tucker Bush, used with permission. Now, full disclosure, I have the pleasure of writing for Tucker Bush. Until I started, though, my knowledge of ‘bush tucker’ was limited to lilly pillies and witchetty grubs. So, imagine my surprise when I learned what they were trying to achieve. I admit, I was skeptical. I mean, are there really so many edible natives that you can make this your ‘thing’?! Well, turns out there are. More than I imagined, though only a (albeit large) subset is ‘user friendly’ enough to cultivate commercially. 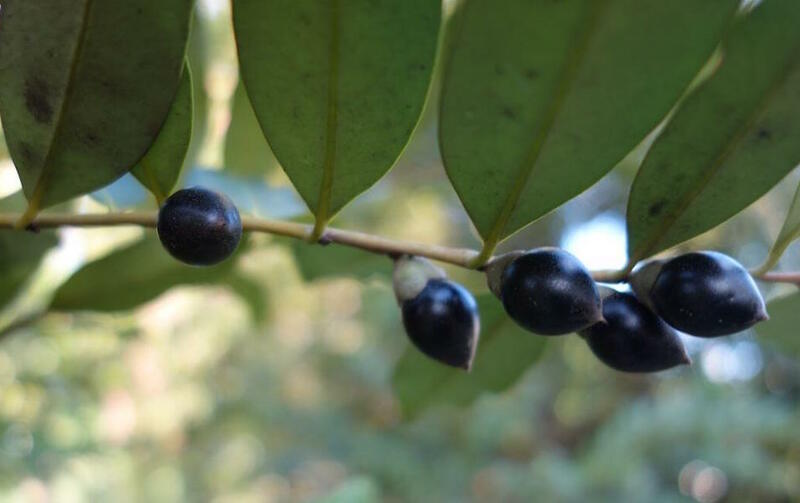 In honour of the inaugural National Tucker Bush Day on 8 July (#TuckerBushDay on Facebook and Instagram), here are 10 of the many edible native plants ripe for planting a backyard garden. 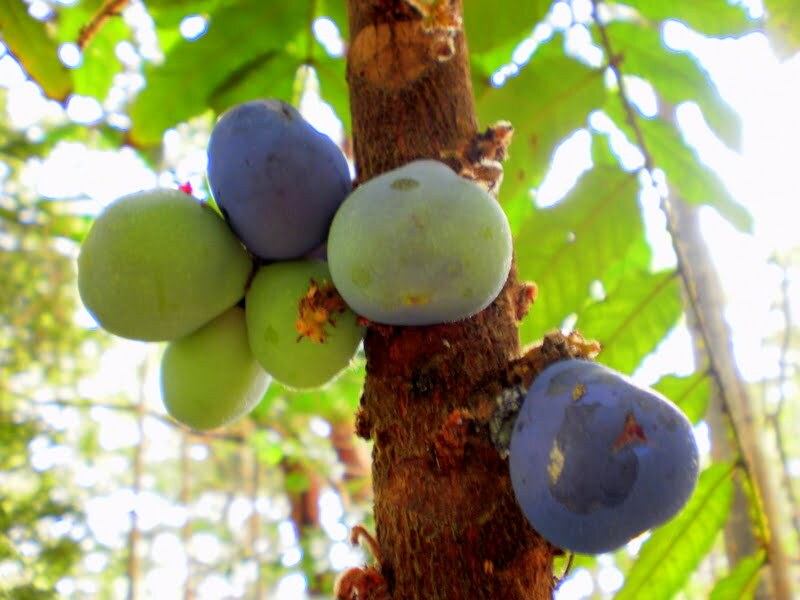 Black Plum is a rainforest tree that can be kept at shrub size in smaller gardens. Source: Tucker Bush, used with permission. Called “burrpurr” in the Yolgnu language. A rainforest tree that fruits through autumn and winter, bearing black berries up to 15mm in diameter. A bee-attracting evergreen shrub, known as “dhumulu” in Yolgnu. Blooms pretty pink flowers that become sweet blue, mouth-staining berries. 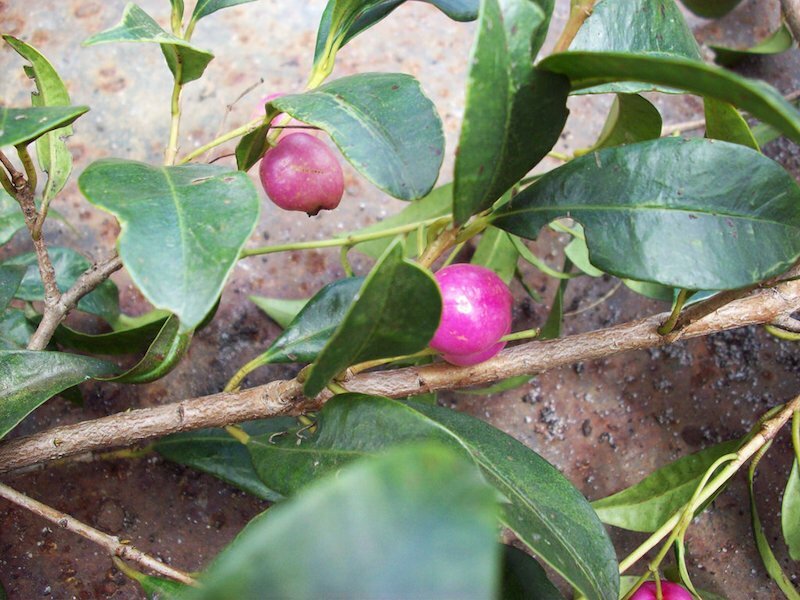 Also referred to as a native guava, said to be a remnant of the first flowering plants of Gondwana. Flowers in summer and fruits in winter. Also known as the “NSW Davidson Plum”. A subtropical tree that produces tart, fleshy plums throughout summer. 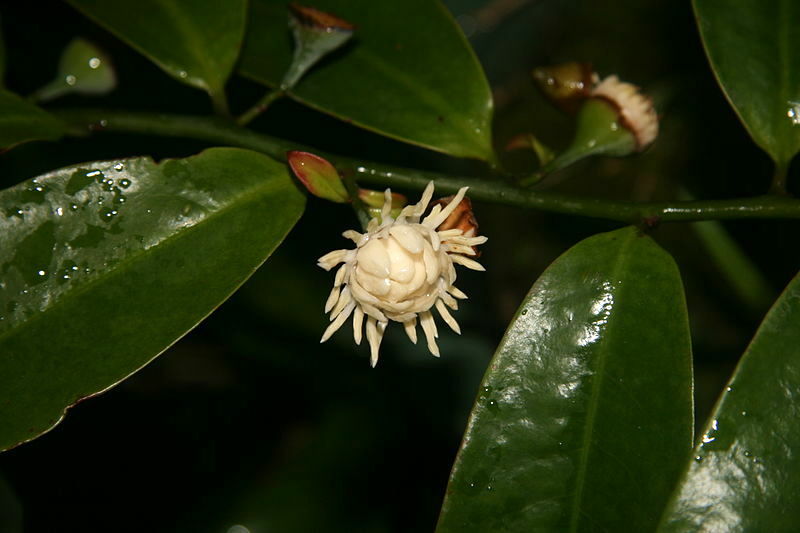 A subtropical rainforest species found in Queensland and northern NSW. Bears finger-shaped citrus fruit with very tangy caviar-like sacs inside. 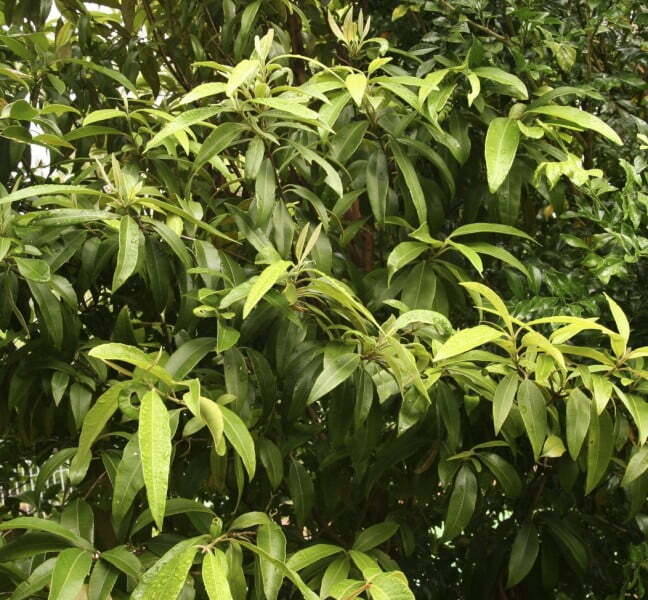 A rainforest tree with intensely lemon-scented leaves — great for baking! Its essential oils have been found to posses anti-fungal and antibacterial properties. Also called “midgen berry” or “sand berry”. Bushy, evergreen shrub producing small berries similar to blueberries. Considered the most delicious of all the bush food plants. 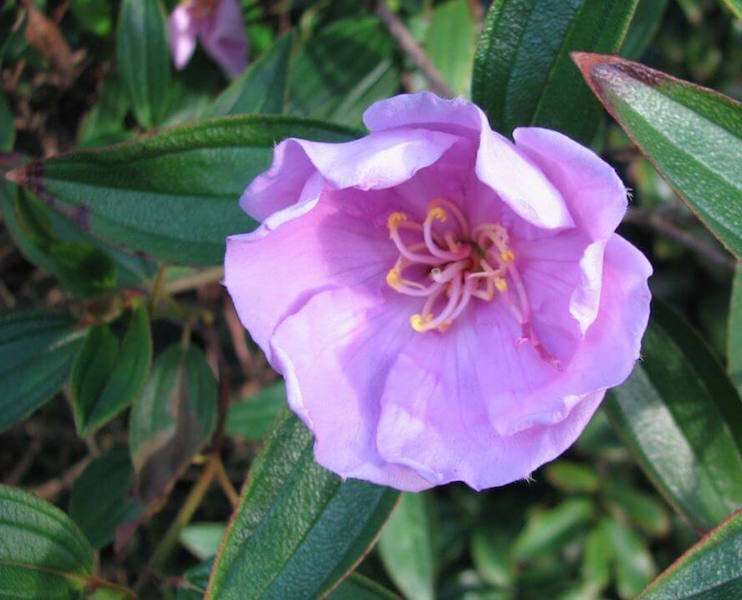 Produces edible calyxes with a sweet and tart flavour. Many supermarkets stock bottled calyxes preserved in syrup for use in cocktails and champagne. 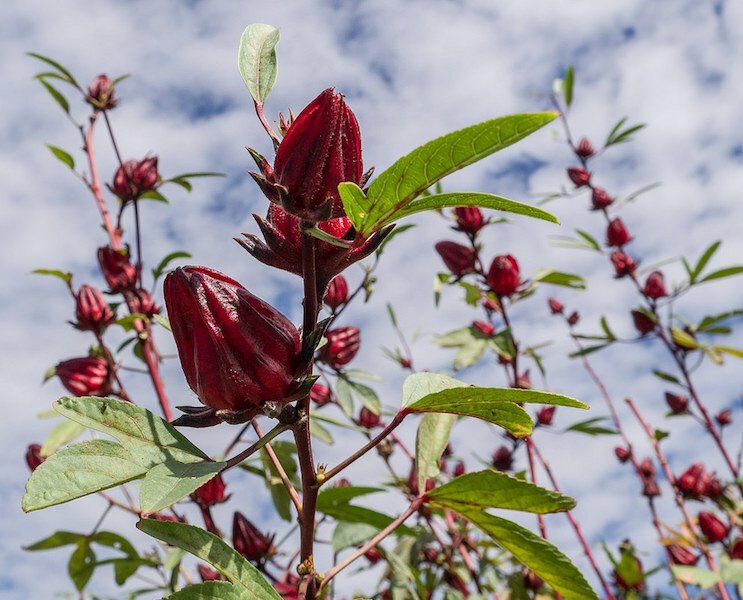 Although Hibiscus sabdariffa is an introduced species, it’s widely naturalised across our northern regions, and now counts as native bush tucker. 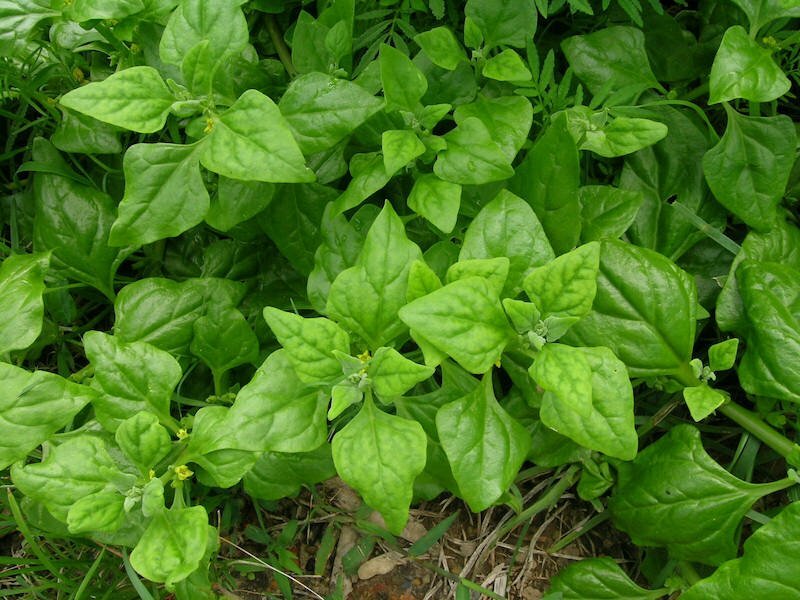 A sprawling leafy green herb that tolerates poor soils. Best grown as an annual. Though said to be rarely used in Aboriginal cuisine, records show this spinach-like vegetable was eaten by the crew of the Endeavour. WA Samphire plants growing in a nursery. Source: Tucker Bush, used with permission. 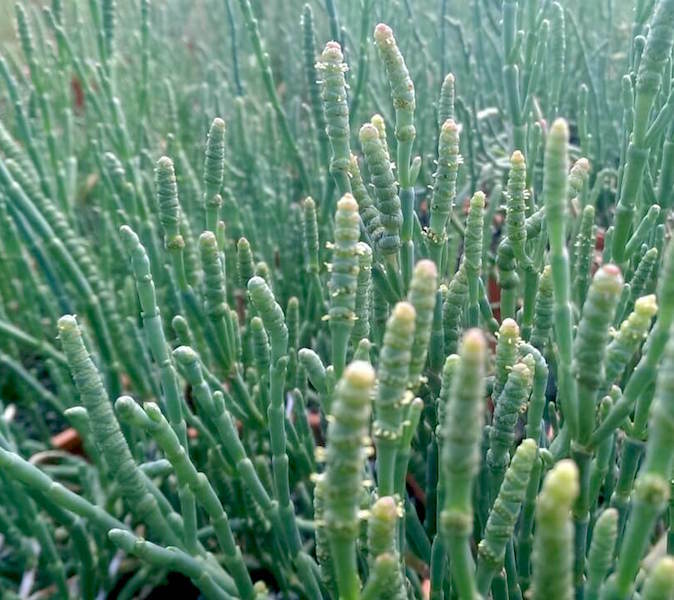 Also called “sea beans” or “glasswort”, this salty succulent is crisp and crunchy like asparagus. It tolerates both sandy soils and dry conditions. Bush Tucker, I’d love to know more. Some recipes would be great too please? 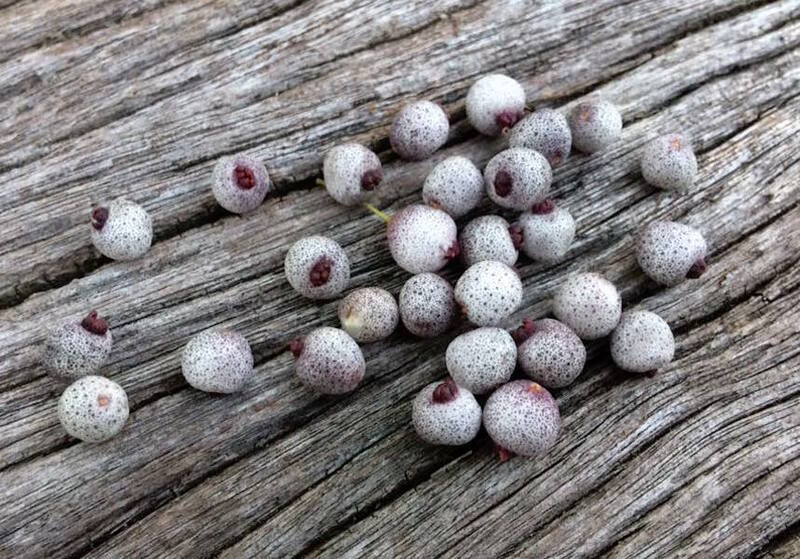 How were these berries, leaves etc actually prepared for the meal table or snack please? Which Bush Tucker plants will grow in Central Victoria please? Thank you for your column, I really enjoyed the read. Excellent topic too, I thoroughly agree we should be promoting our heritage foods far more than has been done in the past. Hi Ms. Robyn, apologies for the late reply – I wanted to double check my facts with the nursery before getting back to you. 🙂 Temperate plants will need protection from the cold weather when you first plant them, but once established should do all right. The tropical rainforest species probably won’t handle the Central Vic winters. However, the WA Samphire listed above will go dormant in winter, but should reshoot in the spring. My pleasure, Kate. All the best for the harvest!